Determination, passion and creativity has paid off for Nick Lehrain. Growing up in South London, Nick was lucky enough to know at a young age that a career in the creative industry was for him. After a failed attempt at rock-stardom in various bands during his early twenties, he fell back on his other creative passion, design. Following a brief stint at the London College of Communication, Nick decided a hands-on role as a junior designer within a small digital and photography agency – The Amberoom – was more his cup of tea. This opportunity was the break Nick needed. In the few years he worked there, he developed design skills across both print and digital, as well as assisting on numerous photography shoots – nurturing his love for image creation. This experience underpins Nick’s belief that success is achievable without a lengthy, expensive university education. All that’s required is talent and determination. By his mid-twenties, Nick’s reputation as a designer had grown throughout the industry and he was soon snapped up by UK-based high street fashion brand, Warehouse, as their Lead Digital Designer. The combination of digital design and the fashion industry fascinated Nick, and proved to be an exciting new challenge. During his time at Warehouse, he was noted as one of the 30 under 30 in British fashion and retail by Drapers Magazine. 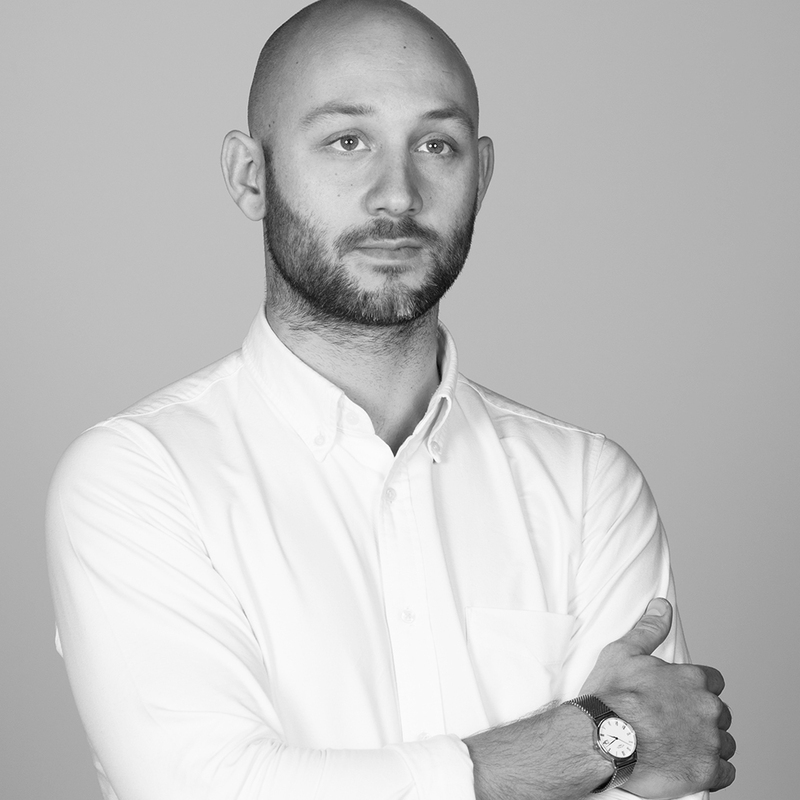 Nick’s success snowballed once international brand, French Connection, headhunted him for the role of Senior Digital Designer, overseeing the team at their London HQ. During his two years there he redesigned the website twice, and was Art Director on countless fashion editorials and seasonal campaigns. Keen for a change of tempo, Nick decided to take a leap of faith and move to Melbourne. His first freelance gig was a bizarre one, and slightly unnerving – designing logos for a concrete company at a very small creative agency. For a moment, he felt he might have made a mistake. Thankfully, his next contract was a lot more appropriate, freelancing at IE Digital. Here, he felt much more at home and quickly put his skills to use across IE’s broad portfolio of fashion and retail clients. Consequently, he was offered a permanent role as Art Director and is today responsible for all the designers and the creative work that goes out the door. When I asked him: what has been your most successful project to date?, Nick’s answer was a little abstract. He said the project was something that challenged him personally and wasn’t exactly the result his team was after. Unfortunately the project didn’t work out, however Nick’s highly positive attitude is noted when he comments, “as a professional it challenged me in every area”. I then went on to ask him: have you ever felt as though there was no coming back from a project? Nick answered with the same project as previously mentioned, where he thought the client didn’t like his work and their relationship wasn’t as strong as it should be. Moving forward, Nick put in the hard yards and won the client over. By the end of the project, the client was coming to him to sort out the whole look and feel, as they had let go of their internal designer. Nick loves this story, as it reminds him of how successful a job can be. If you are able to listen to feedback, you can always move forward successfully. I guess the question that I have always wanted to know about Nick is: how do people in the design space get their creative juices flowing – do they listen to death metal before work or do 20 naked star jumps in the morning? The answer is no to both… well not for Nick at least, he does his naked star jumps on a Sunday arvo. He said it can sometimes be difficult, however he has a few ways to ignite his creative flare. If you are on the spot and need to create something immediately, he goes to different sources of information, like blogs or websites. Nick believes the greatest lightbulb moments are when you are caught with an idea at a random time, it could be as you are brushing your teeth before bed or riding the tram on the way home. Nick says this is the best part of design, it is only once you digest a day’s work, that a powerful moment can come to fruition. What do you attribute your success to?, I asked Nick. His facial expression suggested that he was a bit surprised by this question. Surprisingly, I do not think Nick realises how far he has come in this industry or how much he has personally shaped IE. His response was, “to try and get along with most people and that I honestly deeply care about what I do”.